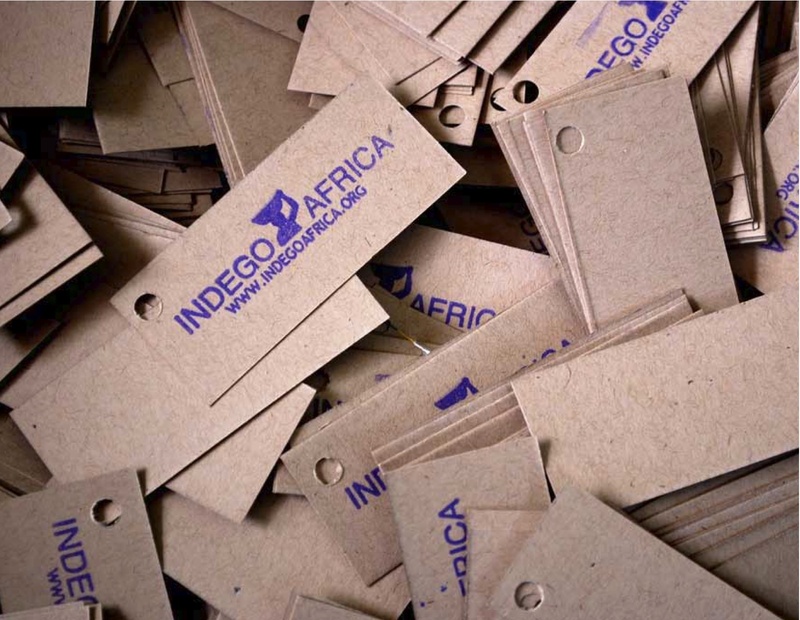 Always in search of companies that are doing good things for the world at large, I recently came across an amazing company Indego Africa that is approaching Fair trade in a new and interesting way. 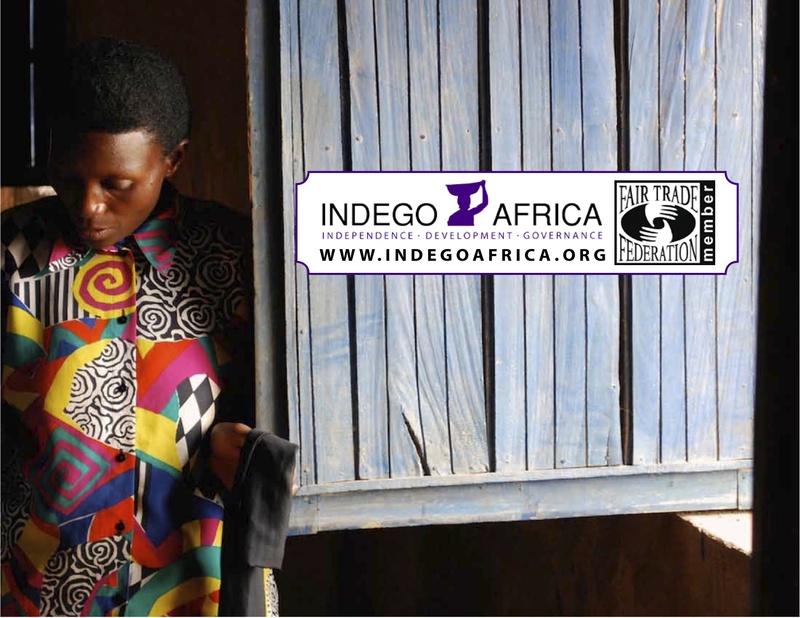 Indego stands for “independence, development, governance”, which is exactly what this company is doing for the overwhelming poverty problem in Africa. Through providing a systematic approach to export their craft, the company is giving the opportunity for low income families to be able to take care of their basic needs of food and shelter by providing them a fair wage and the tools they need to sustain themselves for a lifetime. 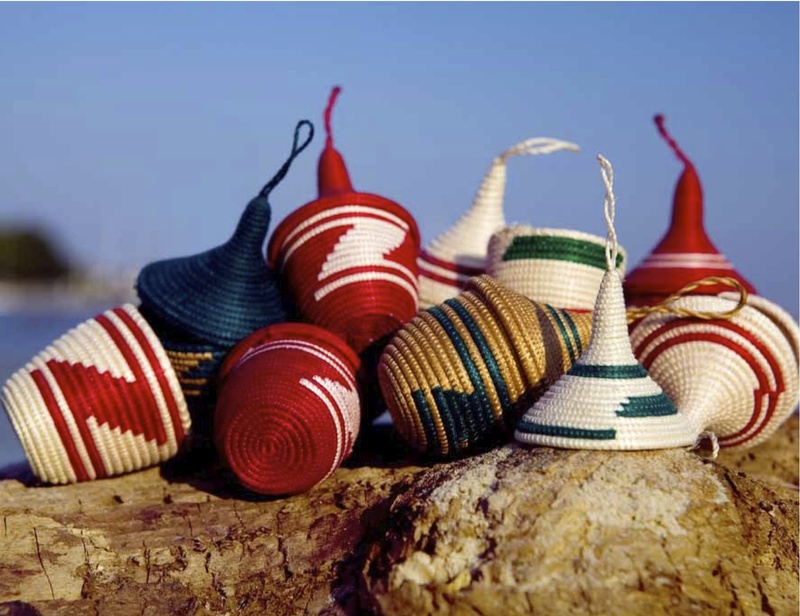 Indego Africa partners with artistic cooperatives to produce contemporary accessories and home decor goods for export around the world. 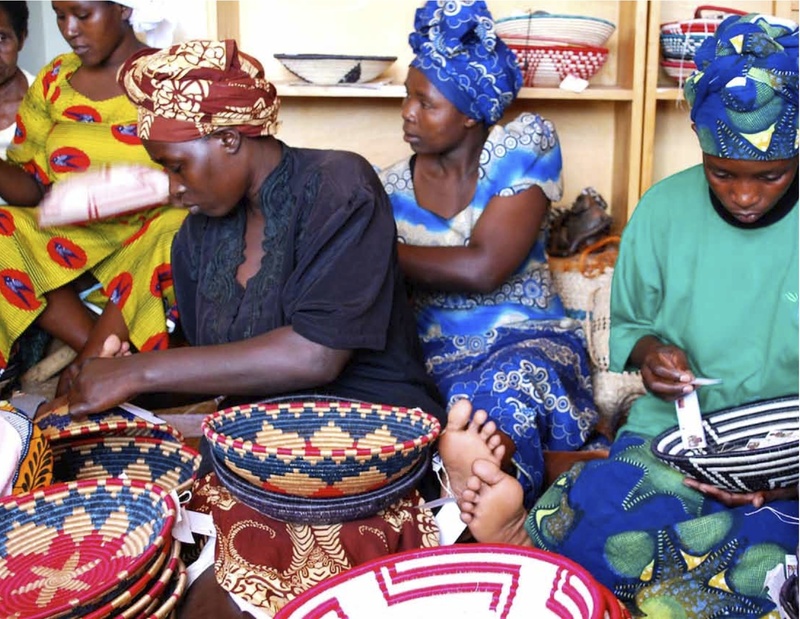 Currently they work with more than 250 dynamic women in Rwanda working for five for profit cooperatives: Cocoki (textiles), Covanya (weaving), Twiyubake (weaving), Abasangiye (textiles) and Ingenzi Knit Union (knitwear). 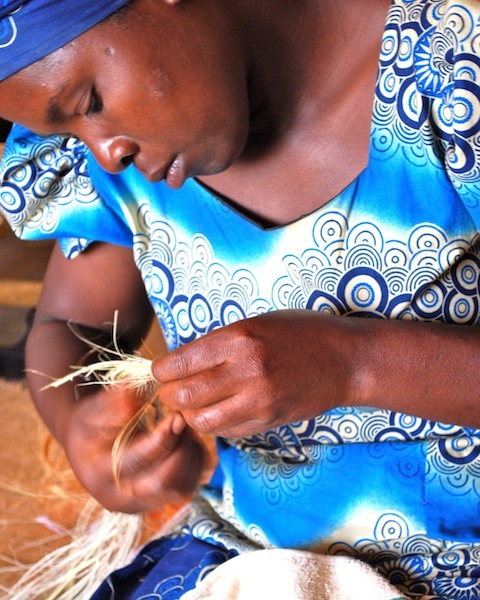 Indego Africa pays its artisan partners in Rwanda a fair trade wage and 100% of Indego Africa’s profits are returned to the artisans for ground-breaking training programs in business, literacy, and computers. 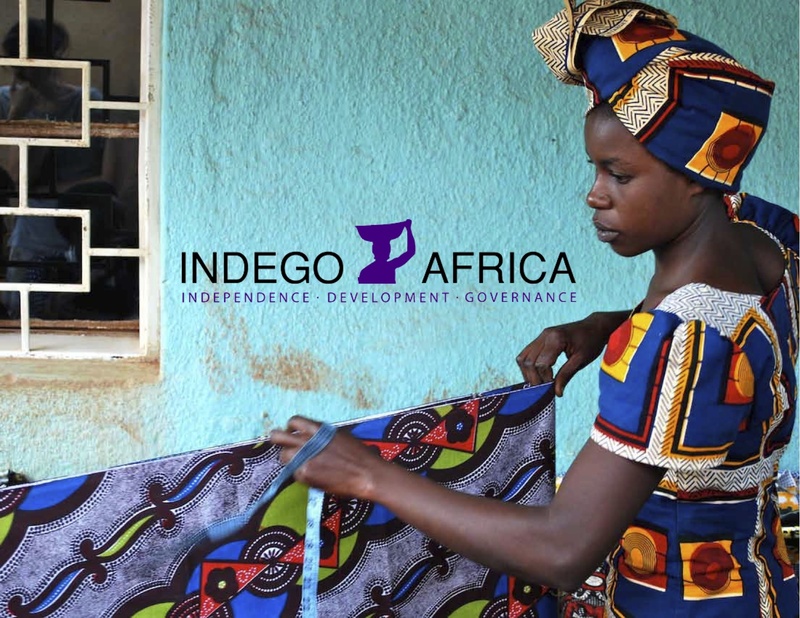 Indego Africa empowers these women with the skills, information, and confidence they need to continue their trade and be successful businesswomen. This company started in an effort to stimulate the long term goal of ending poverty in Africa by investing in the people. 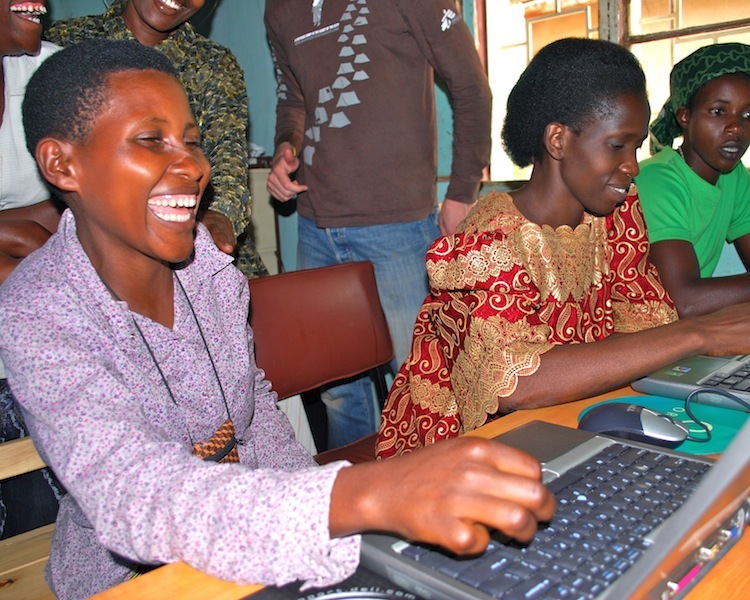 Rather than offering a short term “profit”, Indego invests the money into their business training programs to help these women into a secure future. 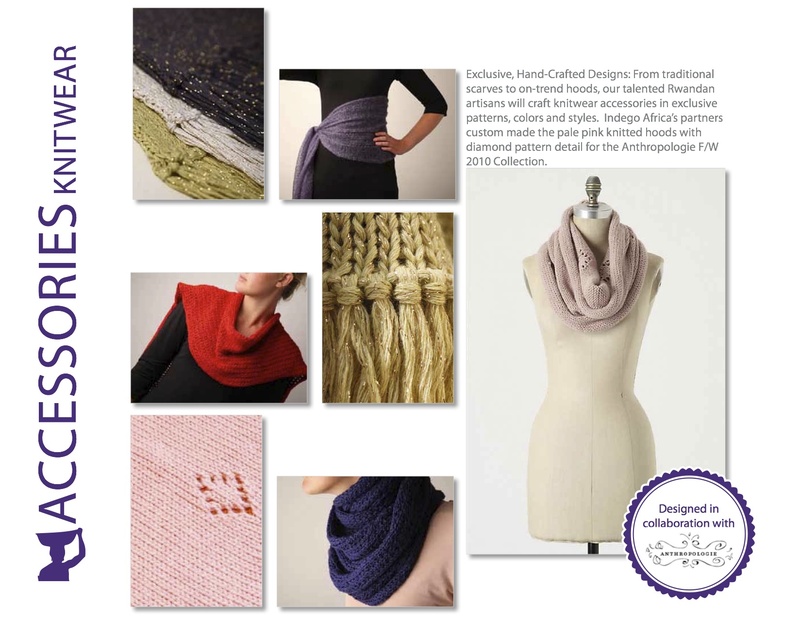 The cooperatives have partnered with US retailers such as Nicole Miller, Ralph Lauren and Anthropologie to produce collaborative goods such as bracelets, knit scarves and home decor. Buy banana leaf bracelets here. 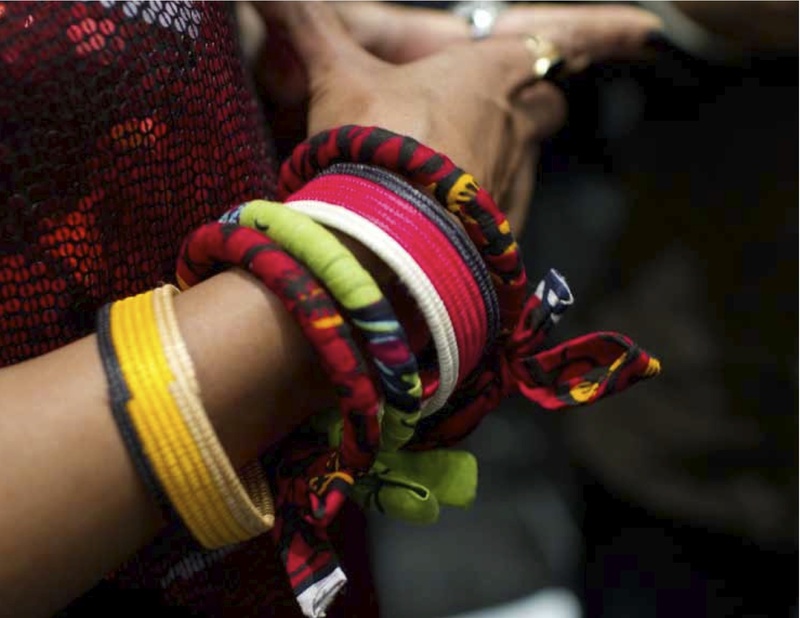 Designed in collaboration with Nicole Miller, these colorful bracelets are wrapped and braided by hand from natural, non-toxic minerals and dyes. 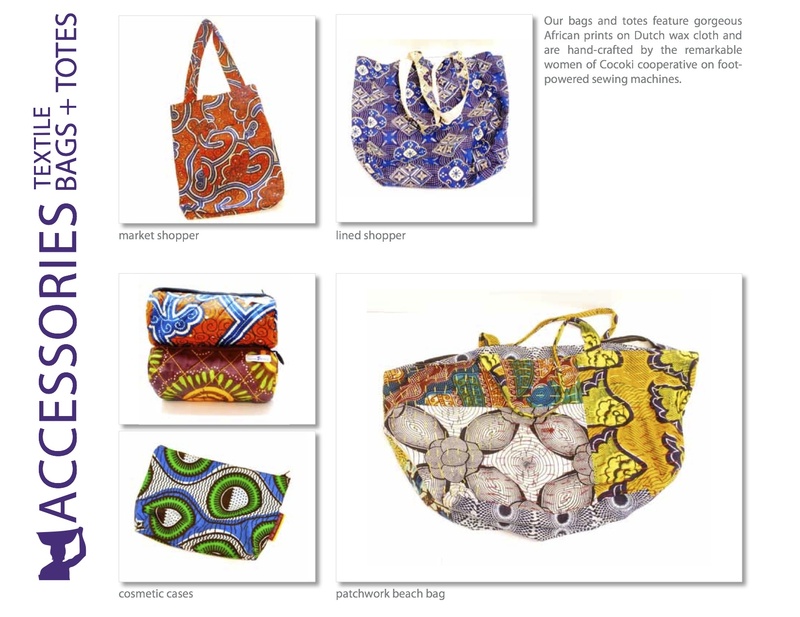 If you didn’t already know, African prints are a HUGE trend for Spring 2011. I bought a couple of sets of these bracelets and plan on wearing them this spring with other mixed styles donning them on both of my wrists. Buy them here. 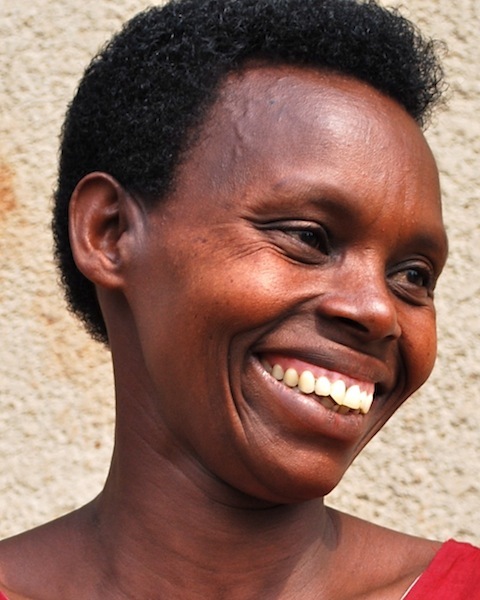 Before partnering with Indego Africa, 93% of the women earned less than $1.00 per day – typically by carrying water. They now earn five times that much. 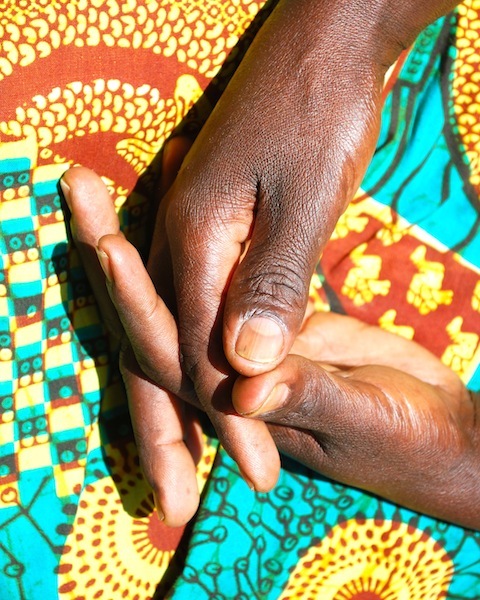 Many of the women have little formal education, cope with HIV/ AIDS, suffer from psychological trauma, care for several children – including orphans from the Genocide in 1994 – and are the sole providers for their households. 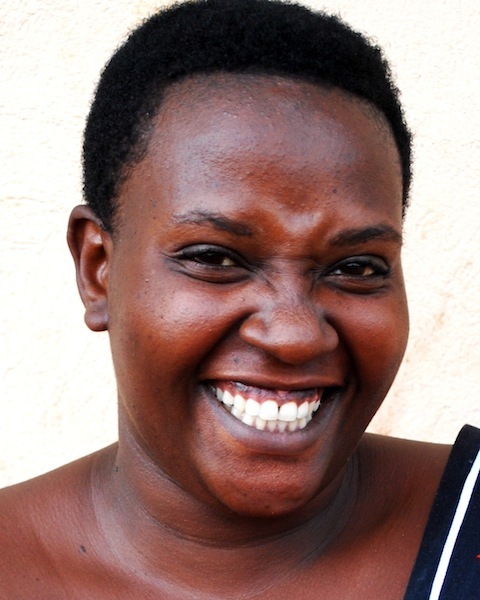 Since launching the company in 2007, Indego Africa has stimulated more than $60,000+ in product sales revenue for more than 200 Rwandan women and their 800 dependents. Some other key results have been a higher child education rate, better housing conditions, greater food security, enhanced quality of life and increased income. Less than three years ago, Emelienne Nyiramana (seen above), carried water seventeen kilometers a day for only 25 cents to support her five children. 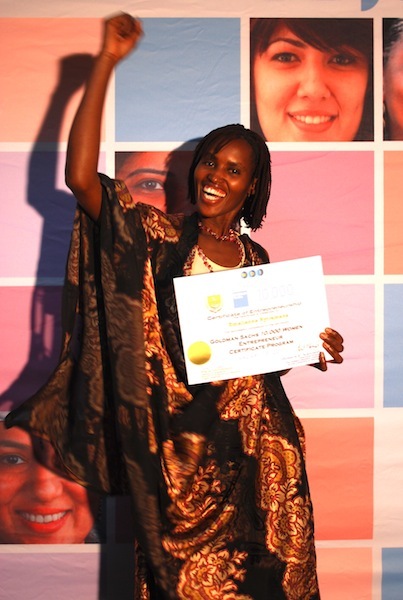 Now she is one of the top students in Indego Africa’s training program and yesterday she graduated from the Goldman Sachs 10,000 Women Initiative Entrepreneurship Certificate Program at the School of Finanace and Banking in Kigali. Now she has the tools she needs to carry on her own exporting business outside of any of the work she does with Indego Africa. This achievement represents the kind of transformational impact that Indego Africa seeks to achieve as an organization. I’ve talked before about the trend of consumers being connected to who they are buying from and the importance of this quality in the landscape of fashion and retail. 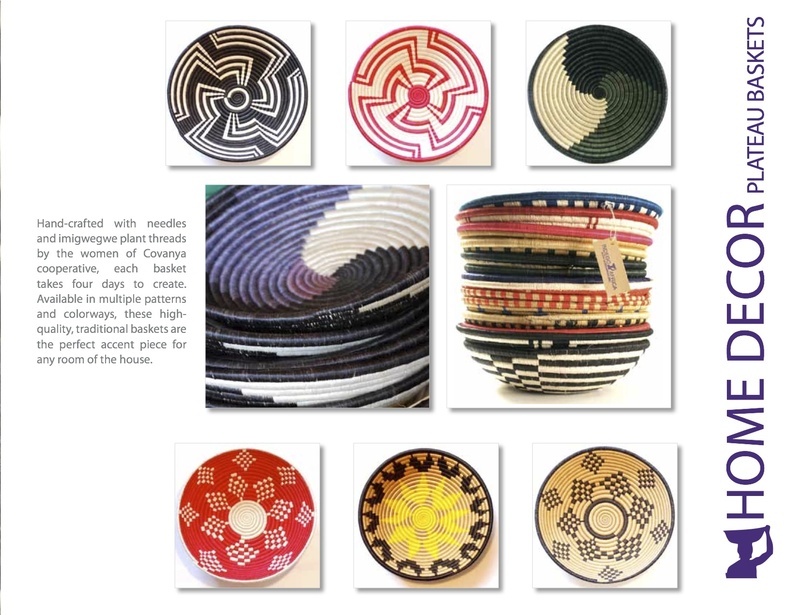 Indego Africa addresses this by personalizing each product and letting you know which artisan made each piece that you bought. 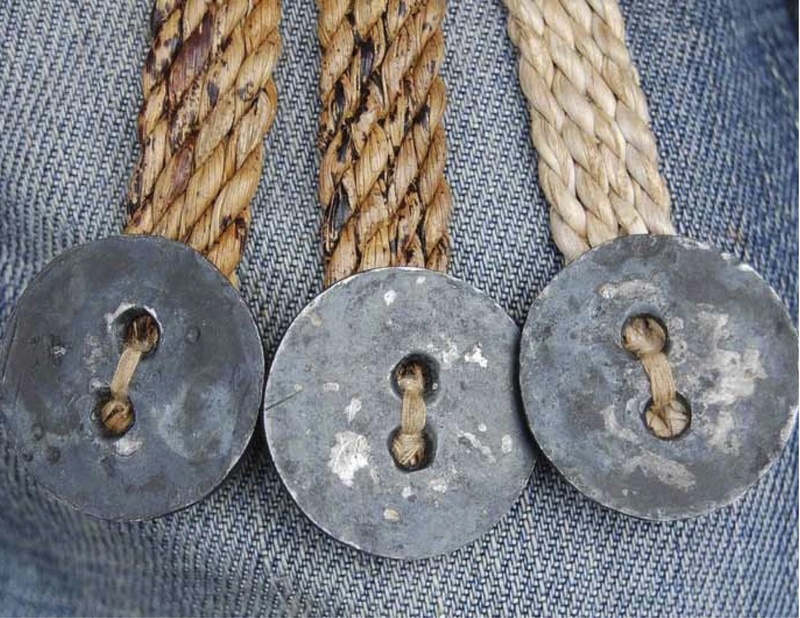 The artisan’s name and signature is on each hangtag, which directs the consumer to the artist’s photo and biography online. This personal connection is what drove me to buy their products. In an environment of fast fashion and giant manufacturers taking over the fashion world, my small way of revolting is to support a business like this one. When you buy something like this, you feel special because you can identify and connect with the artist who made your goods. This is the future of fashion. The future of fashion is not in copy cat products or mass produced items that have no face and name behind them. When you buy items from these retailers, you are supporting unfair labor practices and the cycle of unconsciousness continues. 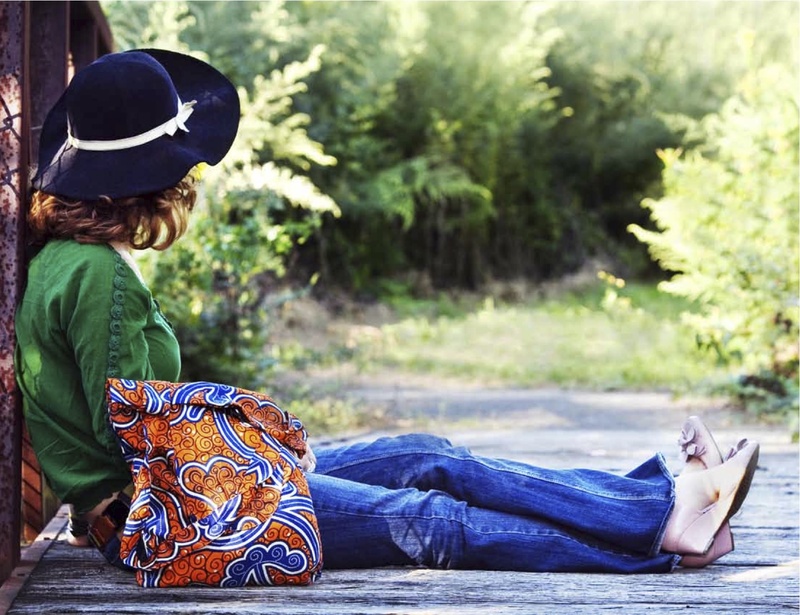 Instead, Buy from Indego Africa- support these talented women, be a part of fixing poverty in Africa and wear your purchase with pride! And don’t forget to tell everyone about it…. Oh my! This is stunning! Thanks.